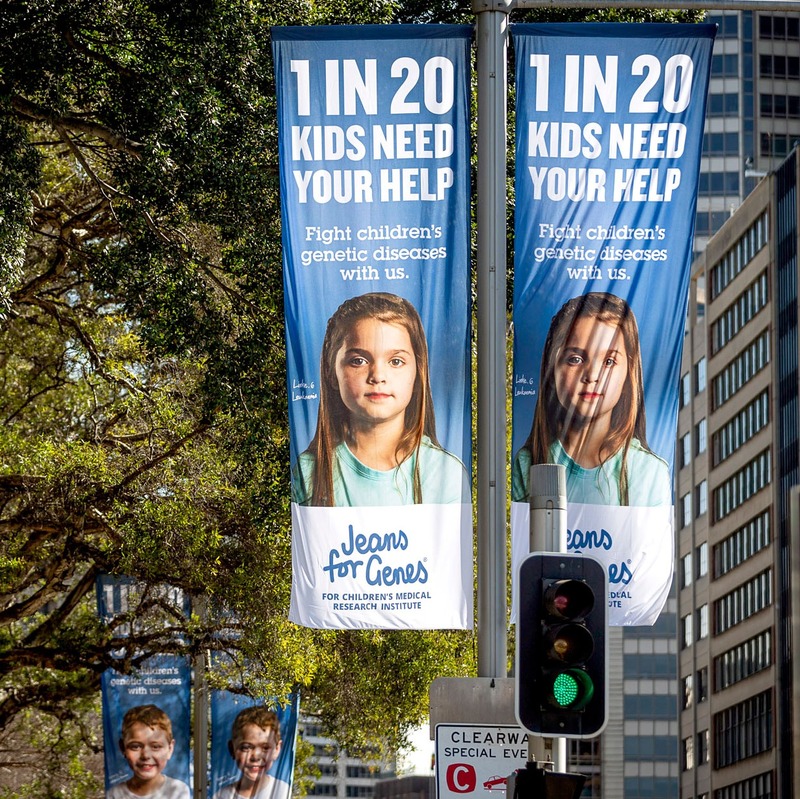 Jeans for Genes is one of Australia's longest running charities. 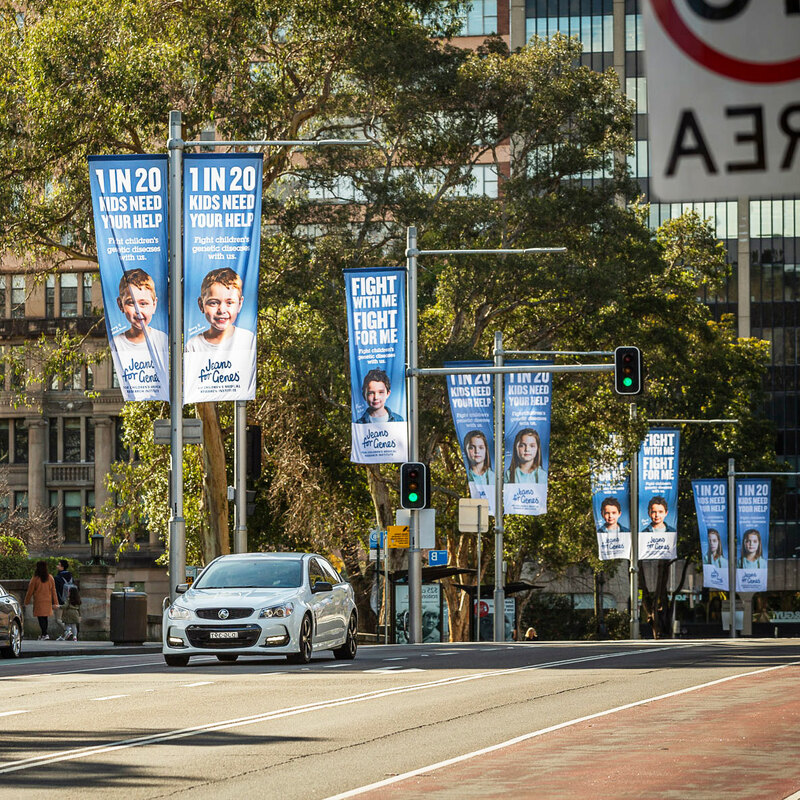 At 25 years, their 2018 campaign aims to remind donors that they are funding revolutionary research that helps diagnose, understand, and find treatments or cures for genetic conditions affecting children. 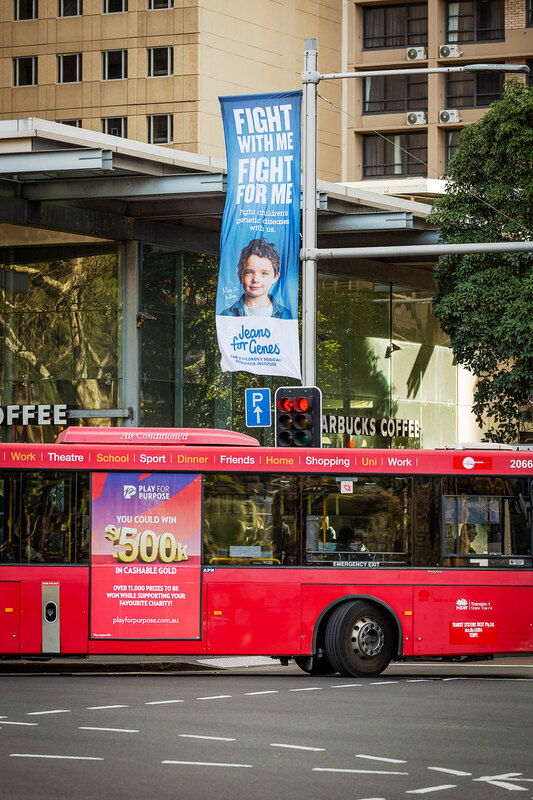 These street banners that can be found all over Sydney, Australia are just one of many creative executions I developed for this massive campaign. 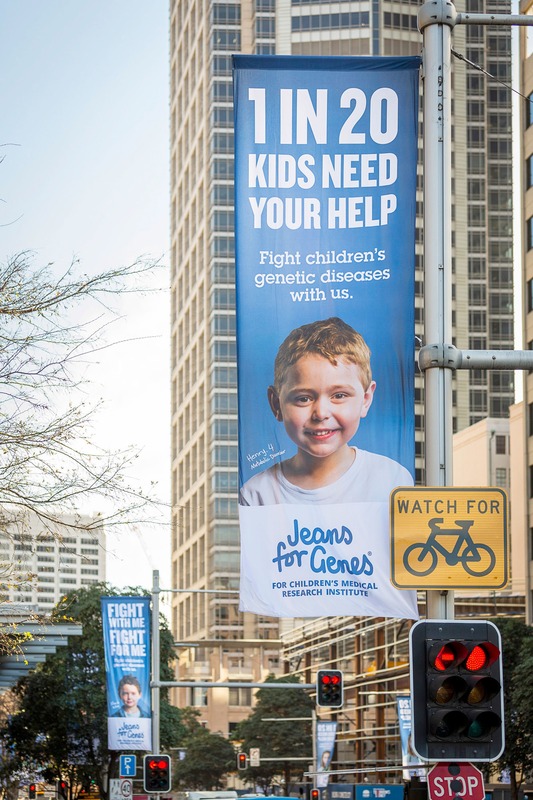 Click on the link below to donate to Jeans for Genes!